Please contact the Riverside County Fair Board and ask them to stop permitting the display and abuse of exotic animals at the County Fair. The Riverside County Fair & National Date Festival is right around the corner and with it will come a number of exotic animal acts and exhibits. In recent years the Festival has conducted zebra, ostrich and camel races, hosted a baboon act, and displayed capuchin monkeys, exotic cats, pythons, macaws and others. In addition, a tiger cub has been used for photos with patrons. Regrettably, many of these same exhibitors appear to be returning this year. Advancing the Interests of Animals and Animal Defenders International (ADI) are asking the Festival to end the use of exotic animals and we are asking for your help. The use of exotic animals at events and in other forms of entertainment is now globally viewed as inhumane. There are over 50 local ordinances across the U.S. prohibiting or restricting the use of these animals in traveling shows; over 30 countries have similar national legislation and hundreds of local ordinances of this kind are now in place in towns and cities around the world. ADI has exposed the suffering of an overwhelming number of exotic animals used for rides and displays at the Riverside County Fair and Date Festival. Advancing the Interests of Animals and Animal Defenders International oppose the display and use of exotic animals because the stress it places upon the animals, and the risk of injury it poses. Exotic animals should not be transported around for display or be forced to participate in races or shows. In fact, worldwide the use of exotic animals for entertainment is in rapid decline. Without animals like tigers, snakes, ostriches and tortoises, we believe the Fair would be just as enjoyable to most attendees. There are many entertainment alternatives that do not involve animals. 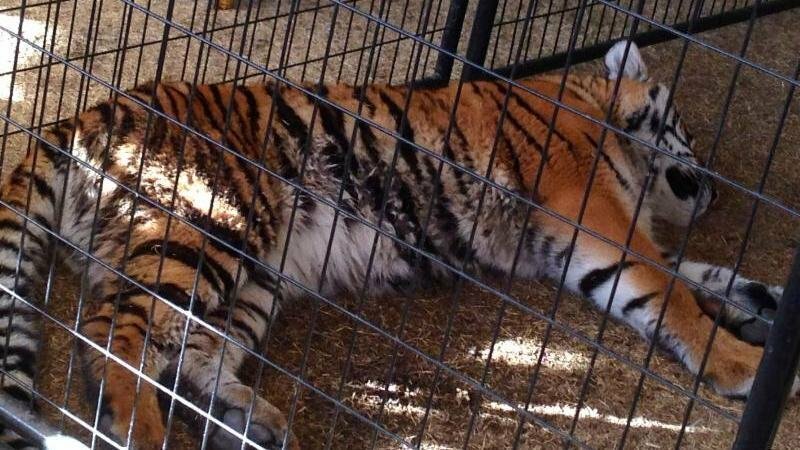 Please let the Riverside County Fair Board know you want them to discontinue allowing exotic animals like big cats, zebras, monkeys and reptiles at future fairs. Please support the work of AIA to protect exotic animals.